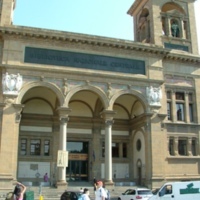 The entrance to the Biblioteca Nazionale Centrale di Firenze in Florence, Italy. 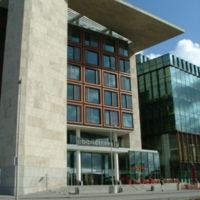 The entrance of the Centrale Bibliotheek branch of the Openbare Bibliotheek Amsterdam on Oosterdokseiland, Amsterdam, Netherlands. 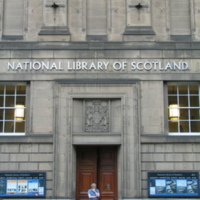 The entry to the National Library of Scotland on George IV Bridge in Edinburgh, Scotland with a man thinking in the doorway. 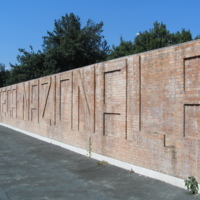 An image of the external garden wall of the Biblioteca Nazionale Centrale di Roma (National Central Library of Rome) which uses brickwork as signage for the library. 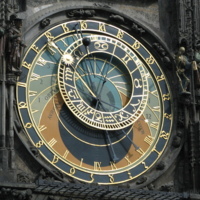 The Pražský Orloj (Prague Astronomical Clock) on the Old Town Hall in the Old Town Square. 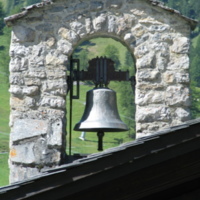 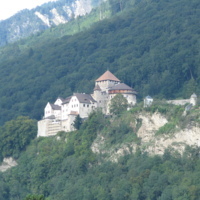 An image of Schloss Vaduz taken from Vaduz in 2009. 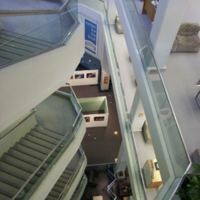 A photo of the interior of the State Library of Western Australia taken in 2004.